Classic Southwest turquoise and coral earrings. 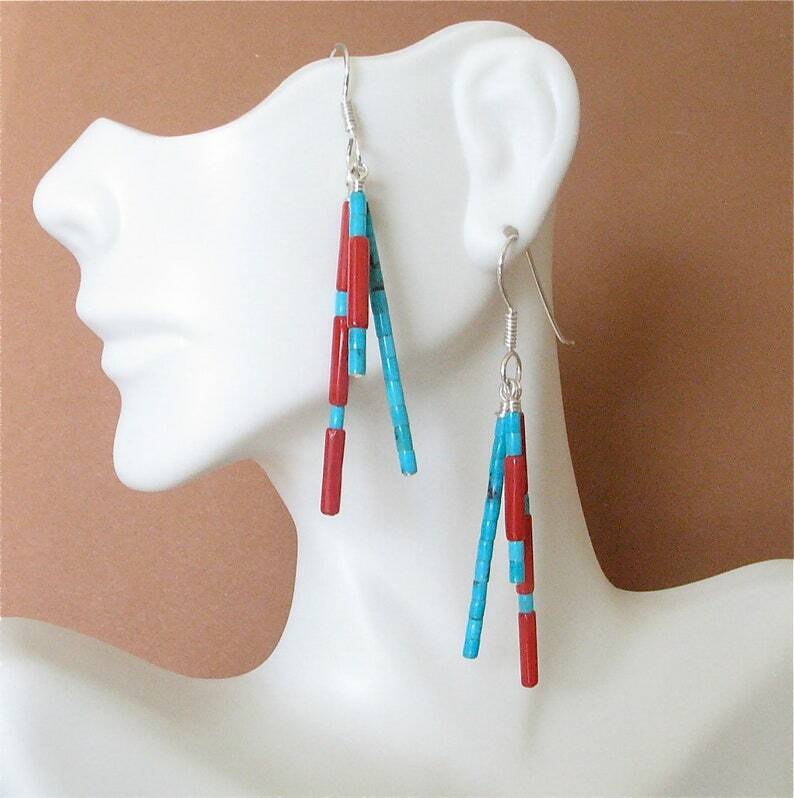 Each earring has 3 dangles of tiny 2mm Kingman turquoise heishi and 3mm x 12mm red bamboo coral tube beads. The ear wires are hand made using 20 gauge sterling silver wire. Great looking either with casual denim or a dressy dress! Length from the top of the ear wire is 2 1/2 inches. Be sure to take a look at the last photo where I have placed a dime and a ruler next to the earrings so you can see how tiny the beads are. Kingman Turquoise and Red Bamboo Coral Necklace - Classic Southwest Style Necklace Suitable for Men and Women - 18 3/4"
Kingman Turquoise Necklace - Boulder Turquoise - Classic American Southwest Turquoise Necklace Suitable for Men and Women - 20"